A dental implant is an artificial tooth root replacement and is used to support restorations that resemble a tooth or group of teeth. At kaustub Dental Clinic, Tooth Implant surgery is performed under general anesthesia or local anesthesia depending upon the case. 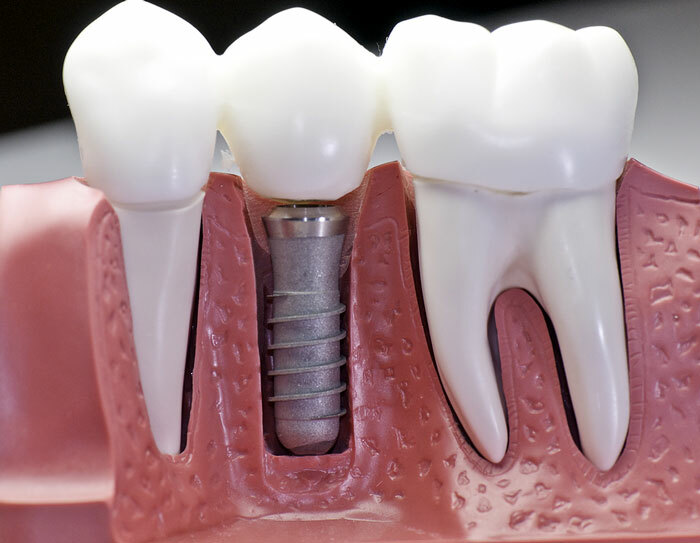 Healing and integration of the implant(s) with jawbone occurs over three to six months after which the crowns/bridges are fabricated and attached to the implants. 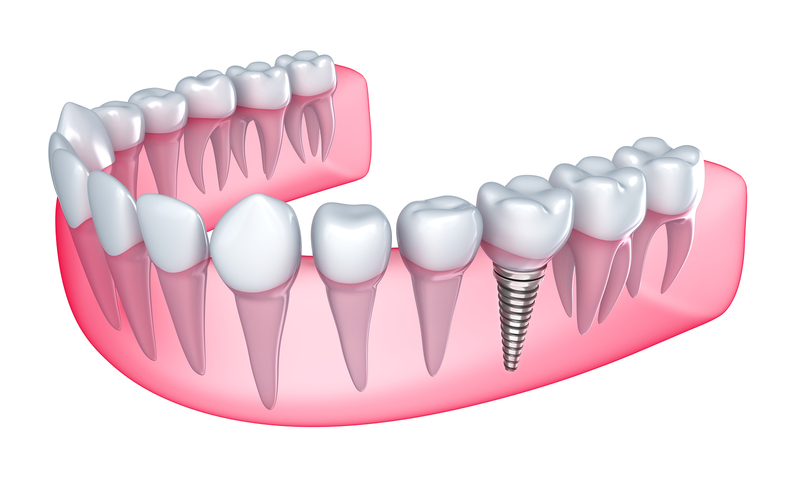 At kaustub Dental clinic, Dental Implants are a kind of “roots” made of material called Titanium. These implants are just like actual teeth root, which are placed within the bone. These are superior and low-cost as compared to dentures because of their superior fitting and exceptional chewing and grinding properties. Working as an anchor for tooth movement, these low-cost implants are definitely a preferable option.